DeLime Website Services believes strongly that the hosting services should be directly owned by the client. You do not want a developer in between you and your site hosting. Over the years of my website work, I have dealt with a number of different hosting companies that my clients were using. Most of them were shared hosting accounts. Most were slow, poor customer support and just not suited for WordPress. 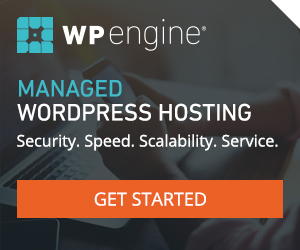 There are now a number of Managed WordPress hosting companies that are best suited for all WordPress sites. Both SiteGround.com and WPEngine.com are great for WordPress and I have clients at both companies with good experience. DeLime Website Services has been with SiteGround.com for three years and I am very happy. Very fast loading, great support, good value and WordPress focused. Full disclosure: the above are affiliate links. Changing hosting companies is a big deal, having to move the site(s), the email set up, SSL certificates (if you have one), repointing the DNS, etc. Some hosting companies will move your site for free, if you decide to make a change. Please contact me if I can help in your decision.